Singita Boulders has huge decks which are almost on the same level as the grass, from which it's common to spot elephants and sometimes lions. Make sure you get a room overlooking the river (avoid rooms 11 and 12, which face away from the river) - the lower the room number the better! At Singita Lebombo either ask for the room which is perched up highest and has the best views (Room 4), or the one closest to the river (room 3). If you've got the money, we recommend a stay at Singita Sabi Sands, with its amazing views you almost do not need to go on a game drive! Wake up the sounds of animals in the wild, perhaps hippos in the river. Do not forget your camera when you visit Singita - you will be snapping away all day! Singita Sabi Sand's lodges in the Kruger National Park are Castleton Camp, Lebombo & the Ebony & Boulders Lodges. Ask for a river-facing room at Singita Boulders. "The most magnificent things are things that pass, not things that endure actually. It's like eclipses and incredible sunrises and sunsets. Those moments are the most precious and beautiful ones...It was the ethos of the design to touch the ground lightly, to just enable you to be there, suspended, in this absolute magnificence...So the buildings really have no form - it's delicate and it's light, on the outside it's rough and on the inside it's feathered. And lightness I think like that, and delicateness like that, I think also has a really appealing femininity to it...And I think Singita made, in the making of Lebombo, one of the most beautiful beautiful experiences that a person can have in Africa...We want people to experience it themselves, when their perception is opened they will see magnificence, it's there - because then one's senses are really awake and then you can see beauty." Andrew Makin, Singita Lebombo Architect. "The Singita Lebombo concession is truly one of the most exceptional parts of the Kruger National Park and you really can get lost in this place...The biggest mountain prides in the entire Kruger National Park live there, and we think there could be as many as 30 leopard on the concession. And great general game...The wine experience is something that strikes a lot of people when they get there. It is quite an exceptional experience...Our staff are generous in every single way and people, generally, who guests make friends with. Guests who come and stay with us frequently have never experienced anything like it." Luke Bailes, CEO of Singita Game Reserves. "The glass box design is meant to make you feel like you are living outdoors, like you are living in the bush, you wake up and you're out there. The inspiration behind the property and the design are meant to give you the sense that you are in an eagle's nest. You feel like you are perched on the edge of the world...The team at Lebombo are a very warm welcoming bunch of people just like our environment." Caroline Burke, General Manager. "Everything is just so calming and relaxing, it's just breathtaking, a beautiful place...Not too many people talk about that as a sort of thing you go to enjoy - the food we have been presented with is amazing." Sarah Johnstone & Kieran McIntyre (Lebombo Guests). "Lebombo means 'ridge', for we are situated on the top of the ridge. For me I take it as a miraculous area to be...Guiding, for me, is not just a job, it's something that you need to love." Colin Sibuyi, Singita Lebombo Guide. "We're working as a team you know, that's why we're so successful." Ronnie Ubisi, waiter. To charter a flight to the Singita Sabi Sand airstrip contact Federal Airlines. Singita Sabi Sand makes the Conde Nast Gold list for 2013. Singita Sabi Sand comes third in Travel & Leisure's 2009 Readers' Award for best lodge in Africa. The Singita Sabi Sand has been voted the world's best hotel, by the readers of Travel & Leisure magazine. Situated at the Kruger National Park, there are two lodges at Singita Sabi Sand, known as the Singita Boulders Lodge and the Singita Ebony Lodge. 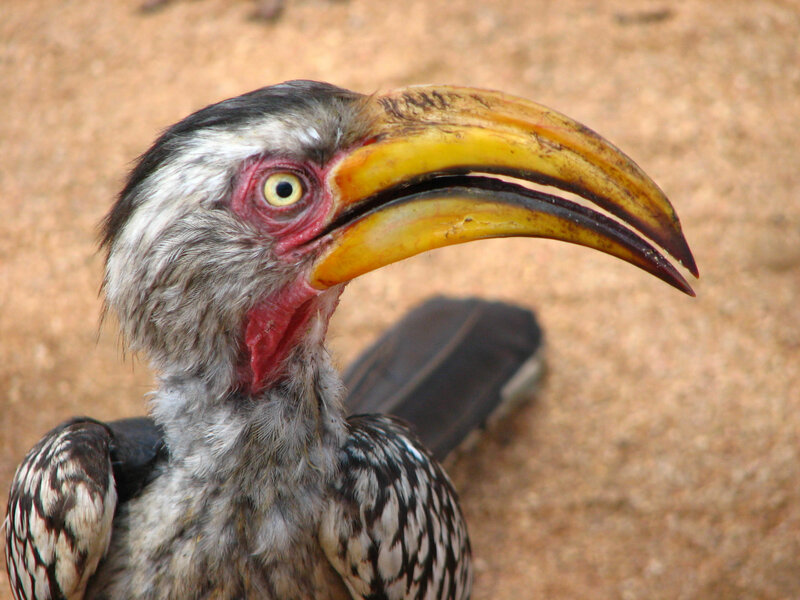 Game viewing can be enjoyed from your balcony, by going on game drives or walking safaris (for the brave). In second place came the Oberoi Rajvilas (in Jaipur, India) and in third place was the Fairmont Mara Safari Club (in Masai Mara, Kenya). In May 2009 Shilpa Shetty and some of the Rajasthan Royal's bigwigs visited Singita Sweni Lodge. She saw a pride of lions, an injured giraffe, hippos, impala, elephant, kudos and baboons. Shilpa's sister, Shamita, had her room ransacked by baboons who cleaned out the minibar (gotta keep those doors locked). 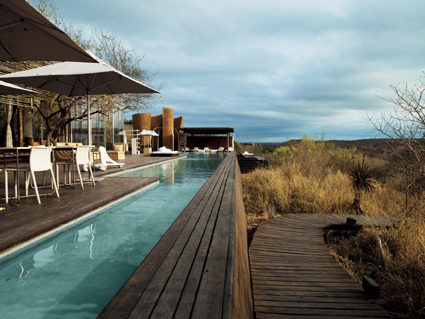 In February 2010, Martha Stewart took a Federal Air flight to stay at Singita, before attending the Design Indaba. Martha stayed at the Lebombo Lodge. 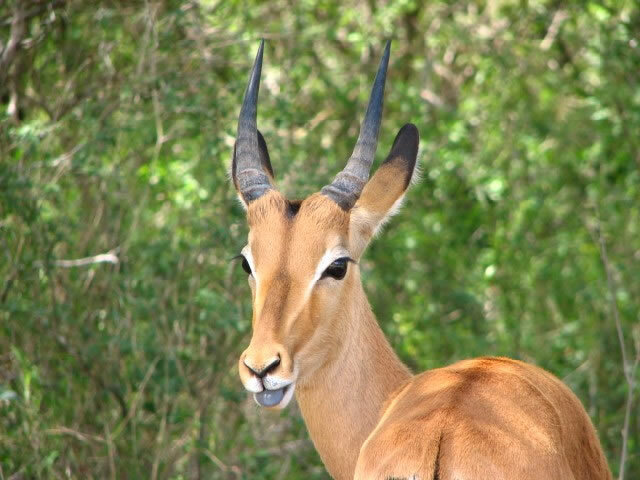 Can't wait to get there - have a look at this collection of Kruger photos.